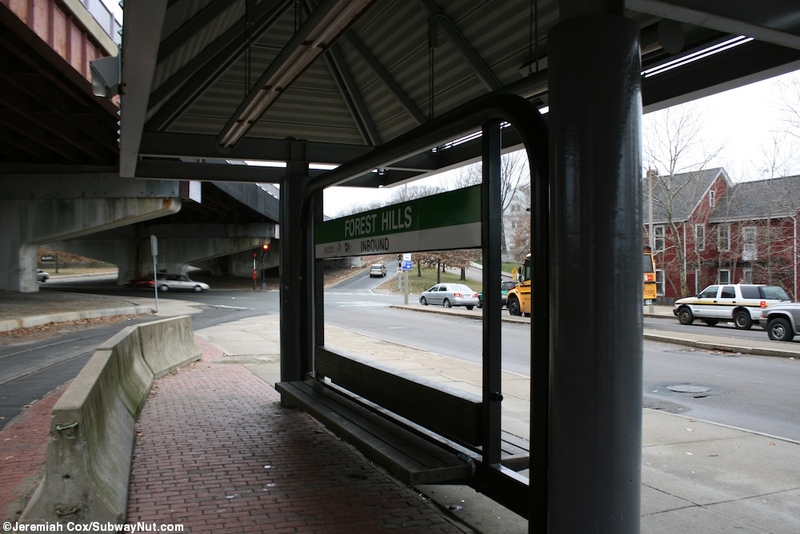 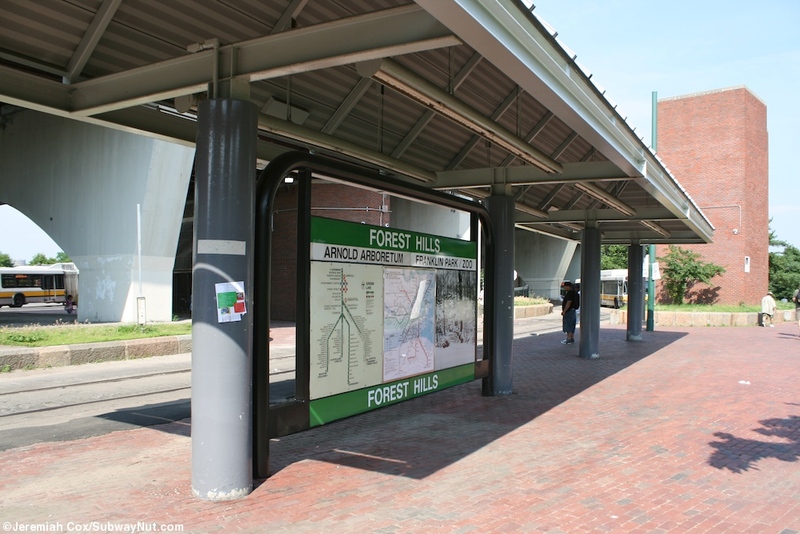 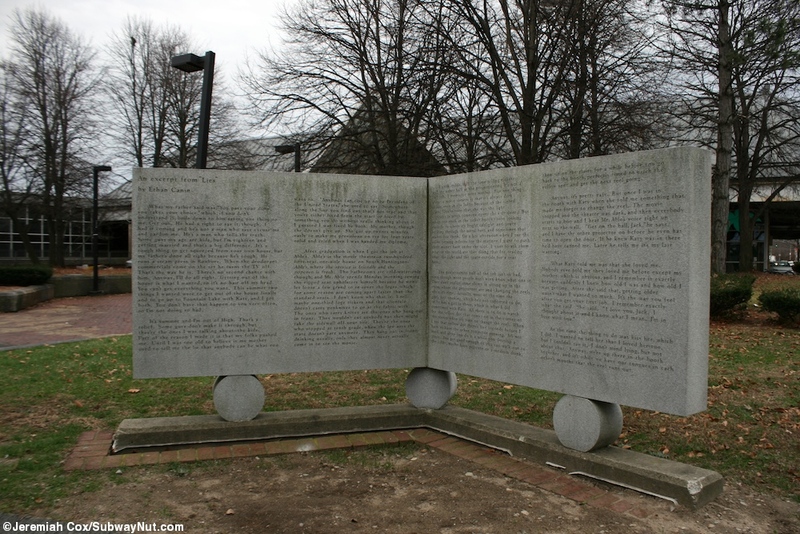 Forest Hills is the southern terminus of the Orange Line, a bus transferpoint as well as the former terminus of the Green Line's 'E' Arborway trolley. 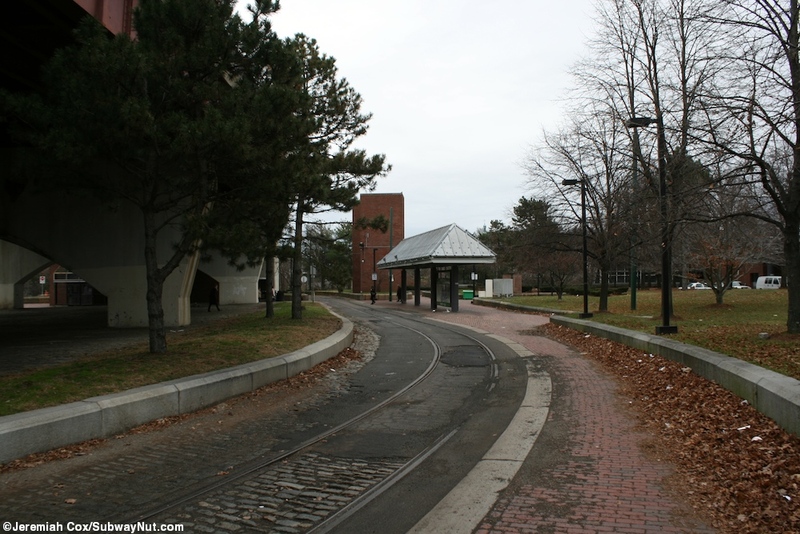 The former trolley platforms are still used by the bus replacement service and the tracks are intact. 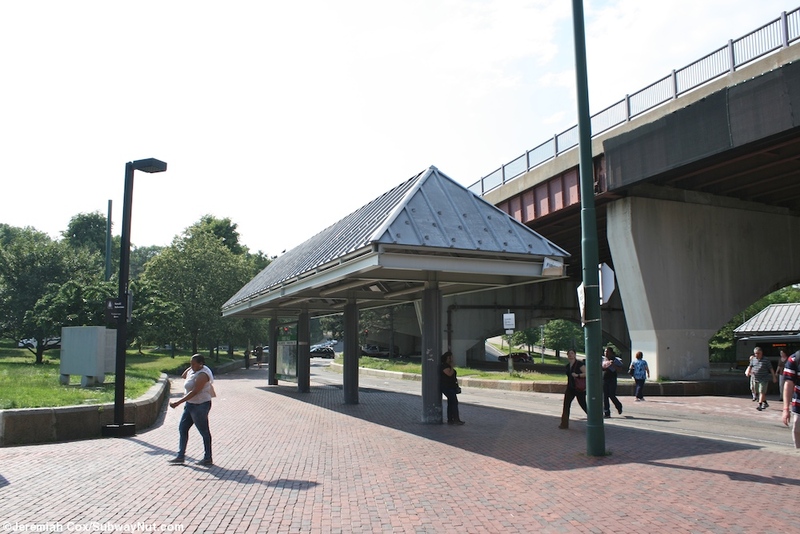 It also has a Commuter Rail platform used as a stop on the Needham Branch but not the rest of the Northeast Corridor although these train lines pass beneath the station too and split just south of it. 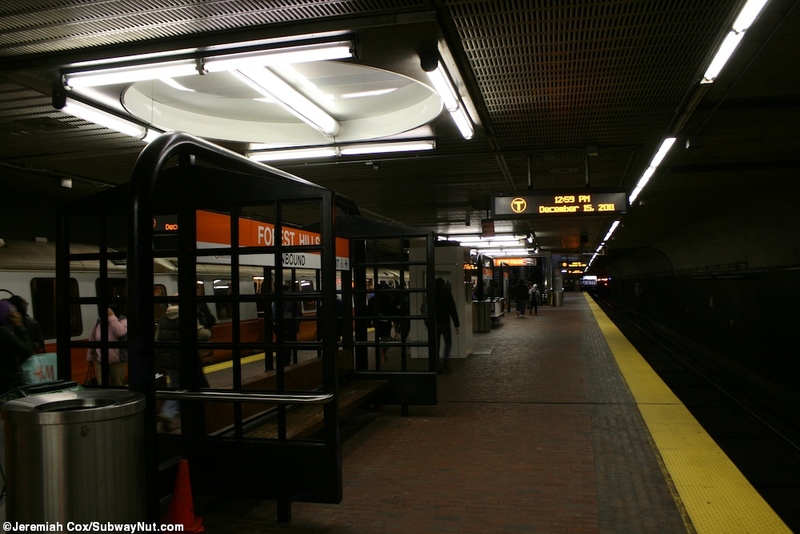 The orange line terminus consists of a single island platform that is almost entirely underground. 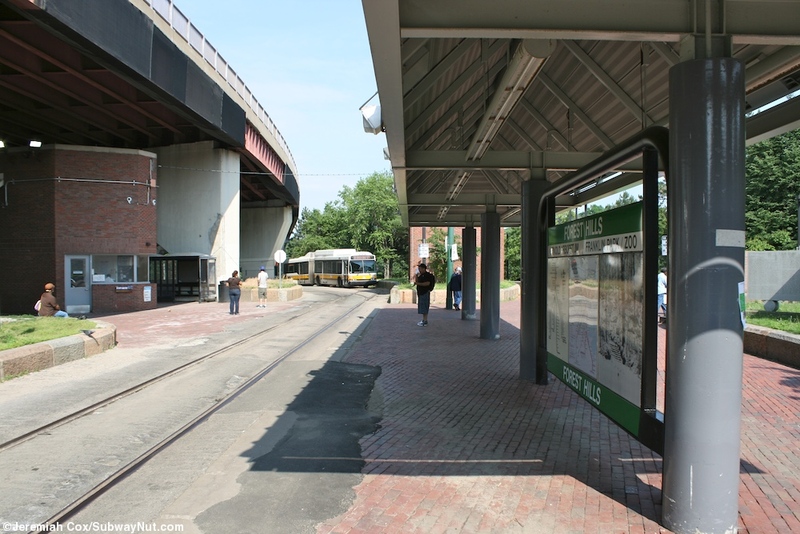 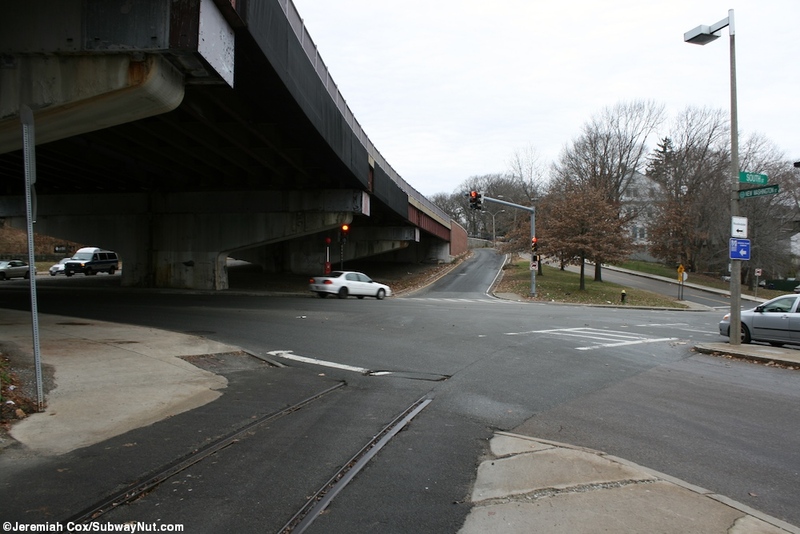 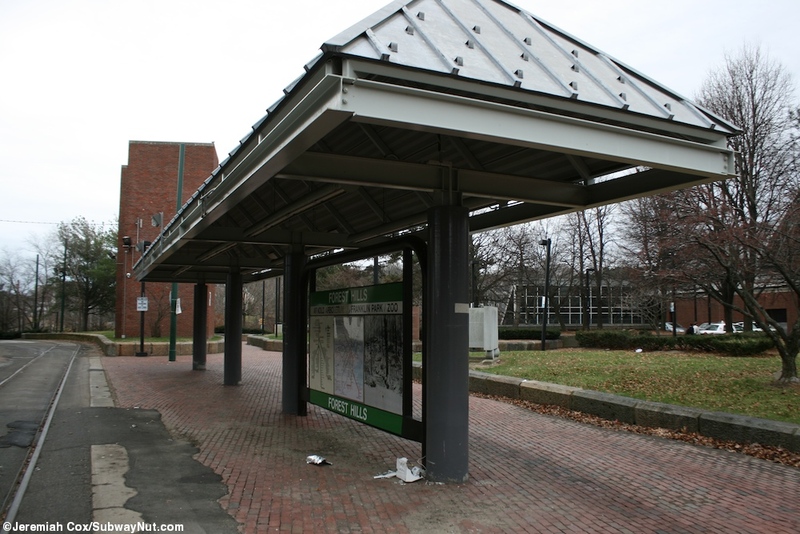 It has a secondary exit at its northern end up to a high turnstile up to the unused two sheltered stops formerly used by the looping 'E' Arborway Green Line trolley that has been truncated to Heath Street since 1985 when it was temporarily suspended, most of the tracks except at these platforms have been removed. 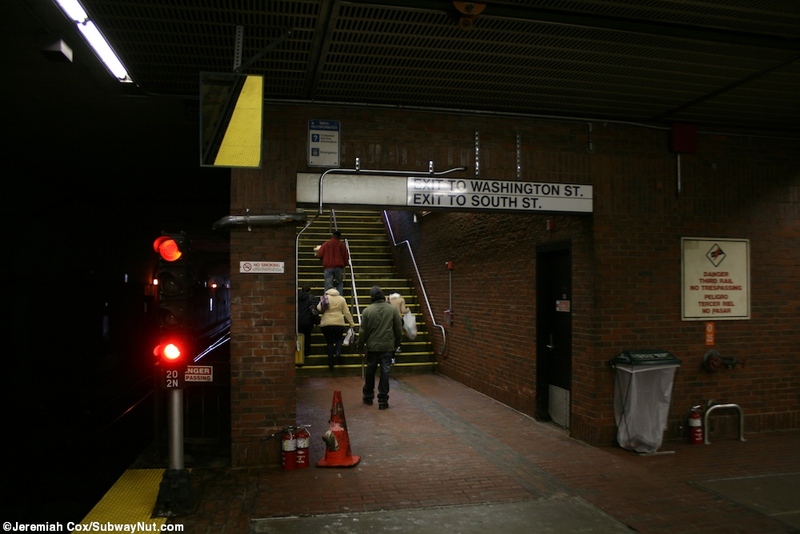 There has never been a green line train stopping here to make a transfer to the Orange Line in its current form because today's underground station did not open until May 1987 when the Orange Line's realignment was completed via the Southwest Corridor demolishing the Washington Street elevated. 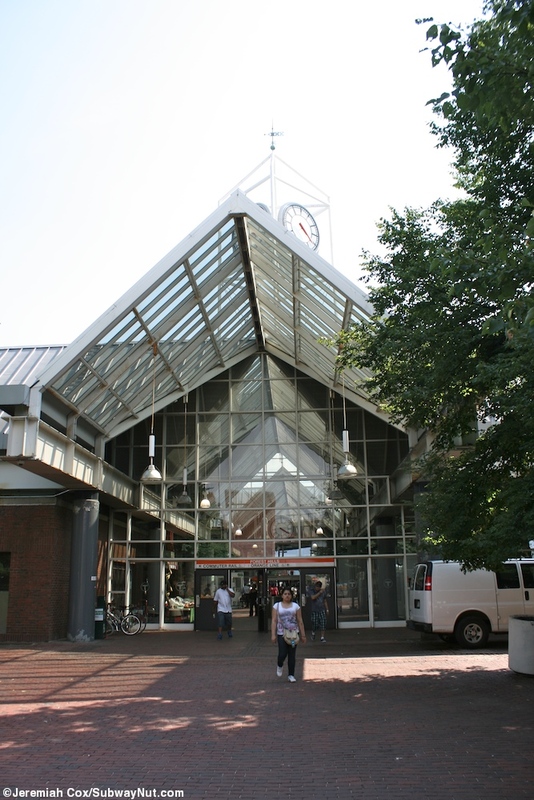 The main station exit is inside a large glass roofed headhouse that has two separate bus loops on eitherside for the 16 bus connections made at the station. 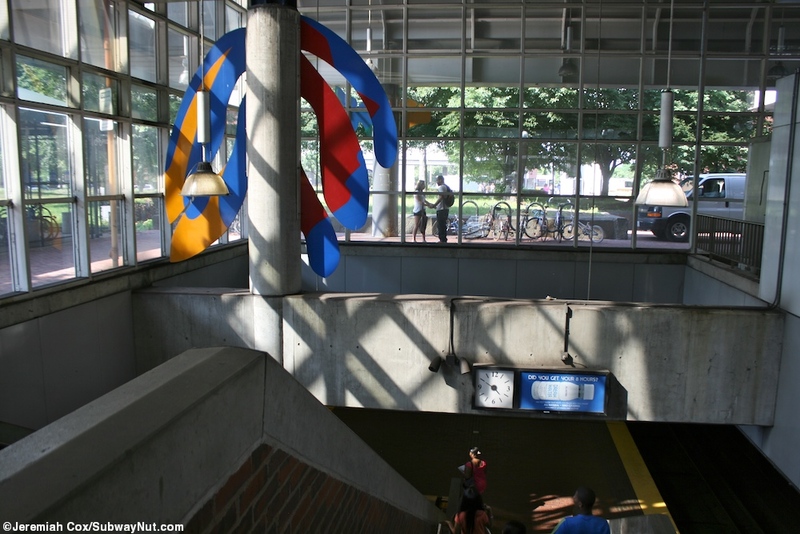 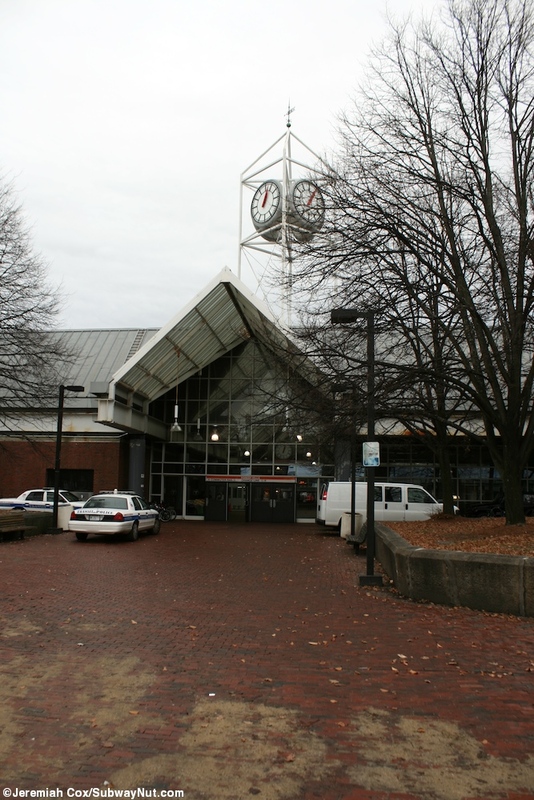 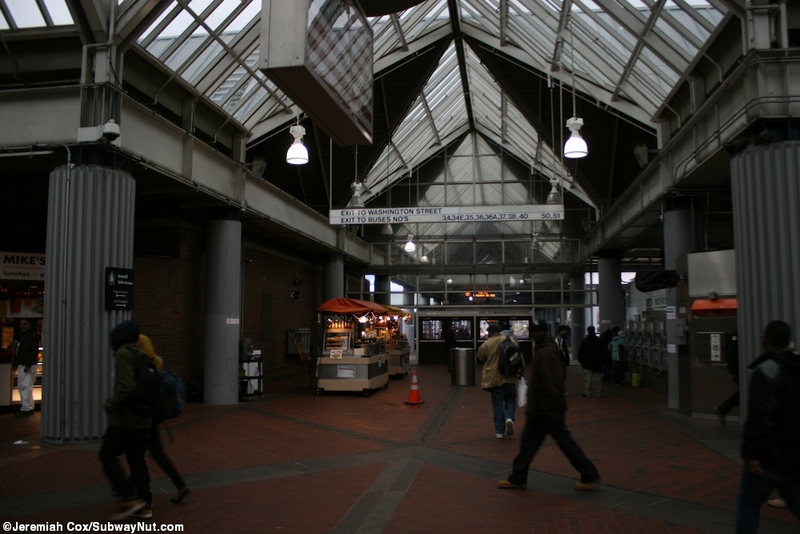 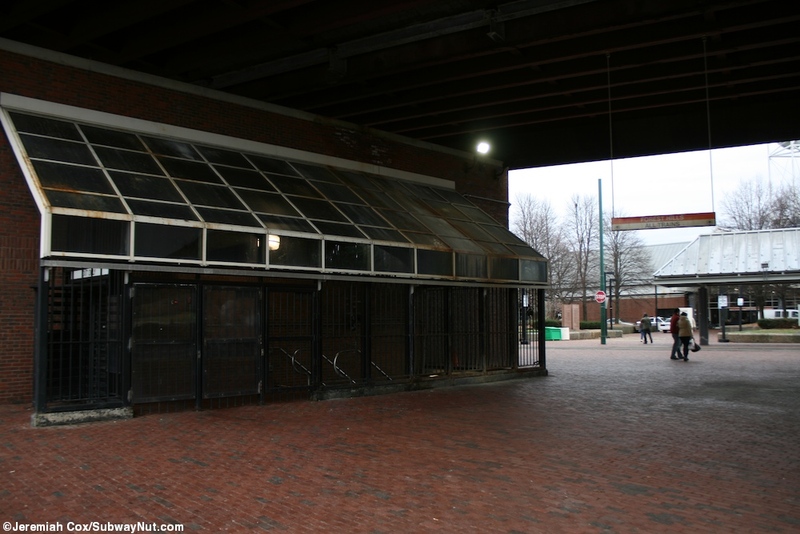 Inside this headhouse is the fare control entrance area to the Orange Line with an elevator, stairs, and up escalator down to its island platform. 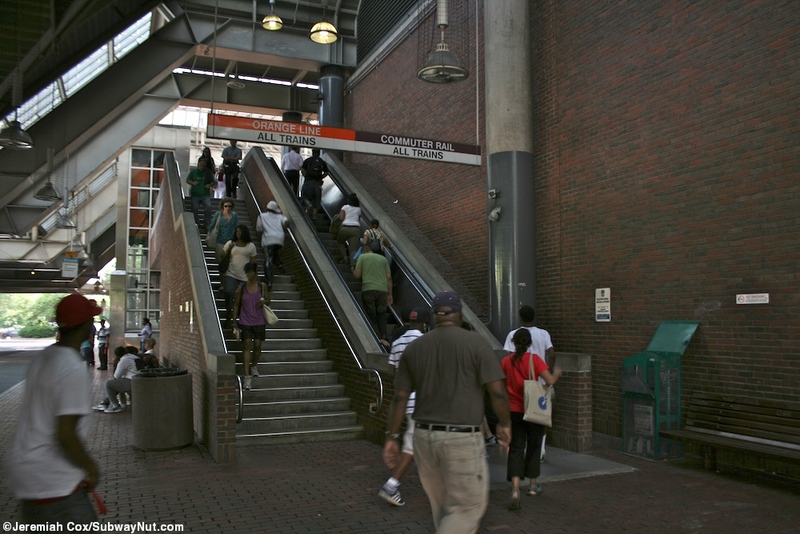 The entrance for Commuter Rail is also here with an island platform for two tracks (four pass through the station) and an elevator and staircase up to the central headhouse that also includes some concessions. 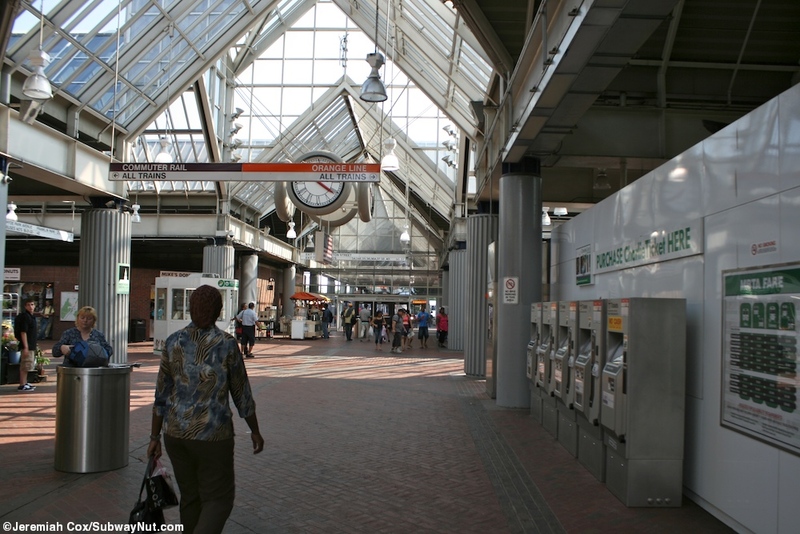 South of the station is a 206 space Park & Ride Lot. 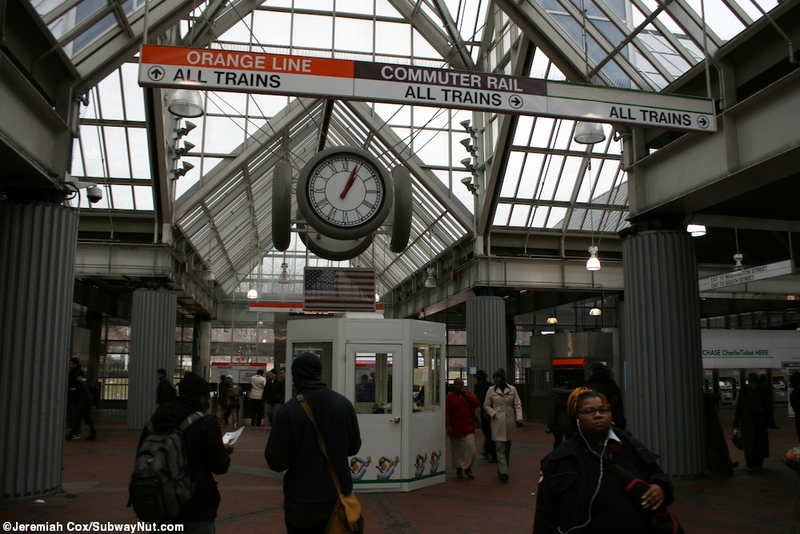 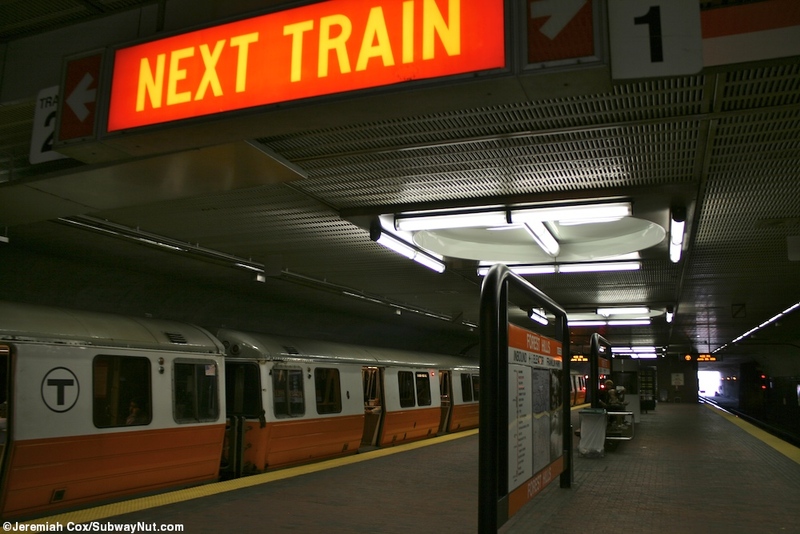 Tickets, the Commuter Rail or Orange Line? 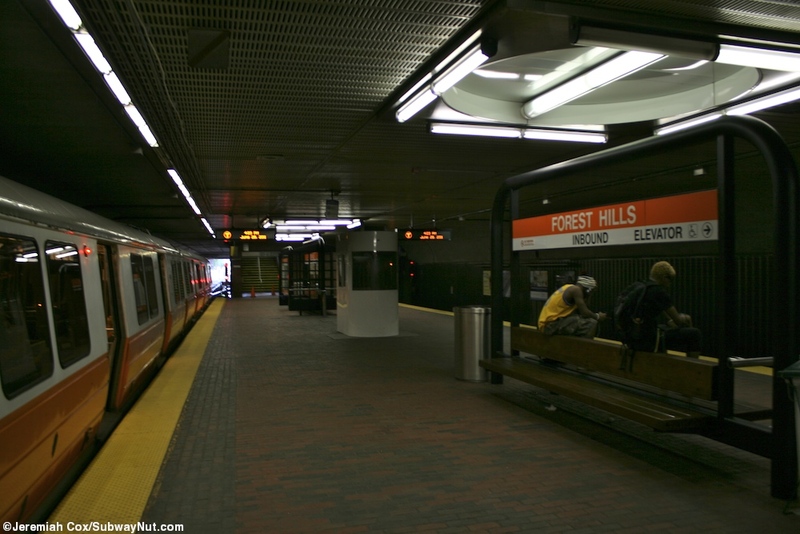 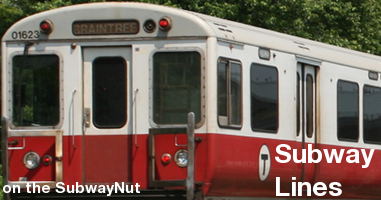 Orange Line or Commuter Rail?